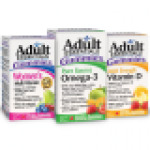 Save $3 on any Centrum product. Save $3 on Centrum MultiGummies or FlavourBurst. Save $3 on Centrum Forte or Select essentials. Save $1 on Sundown Naturals product. Save $2 when you spend $10 or more on Swiss Natural products. Save $5 when you spend $25 or more on Swiss Natural products. Save $2 when you purchase Jamieson 100% Complete Multivitamin product. Save $8 on Caltrate product. 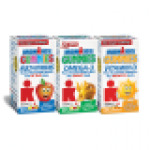 Save $3 on Centrum Multigummies, FlavourBurst or AquaBurst product. 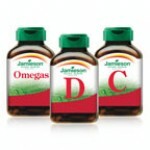 Save $2 on Jamieson Vitamin D supplement. Save $2 on Jamieson multivitamins. Save $5 on Emergen-C product. Save $4 on Caltrate product. Save $3 on Swiss Natural product.